"If you are looking for a history of Monty Python this is not the book for you. If you are looking for a peek inside the lifelong journey of one of the great minds of comedy, British or otherwise, this book is required reading. In So, Anyway John Cleese lets us in on a secret -- he is not an actor, he's a writer-performer, a very important distinction in his mind. In fact, as he points out in the final chapter, this was the secret to the astounding success of Monty Python's Flying Circus: Not one of the troupe was an ""Actor."" No inflated egos demanding screen time, no prima donnas screaming for top billing, just a group of writers dreaming up brilliant sketches and zany non sequiturs punctuated with off-the-wall animations. According to Cleese the gang would write their sketches first, revise them to perfection, then decide who should perform them. The focus was on making the bit, from The Cheese Shop to the Fish Slapping Dance, as funny as possible, end of story. 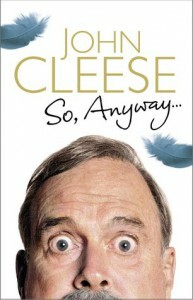 As Cleese says throughout the book, comedy is hard work, requiring thought, effort and, yes, self doubt and second guessing. Is this sketch funny? Can it be funnier? Will people laugh? Will they laugh at the right time? So many things to worry about, so many things that can go wrong. Comedy is like launching a rocket -- ten thousand things can go wrong, only one can go right. Thankfully John, Graham, Michael, Eric, Terry, and Terry were all willing to put in the time, to do the work, to sweat the blood necessary to bring their unique comedic twist to the world. Thanks for choosing comedy over law, John. The world has enough lawyers but not nearly enough funny men. 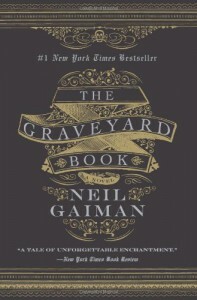 "What can I possibly say about Neil Gaiman that you haven't heard a gazillion-and-a-half times before? That he is the great storyteller of our time? That his creativity and imagination seemingly know no bounds? That he has mastered such disparate aspects of literature from comic books to short stories to novels to poetry? It would not be too great a stretch to say Mr. Gaiman is one of the truly great writers of our day. Exaggeration? Hyperbole? I don't think so and I offer up Trigger Warning as the latest piece of evidence to back this claim. 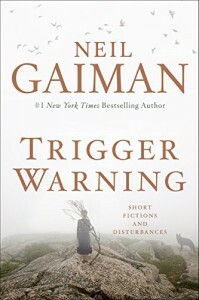 Trigger Warning is sure to please fans of everything from fairy tales to dark fantasy. Highly recommended. 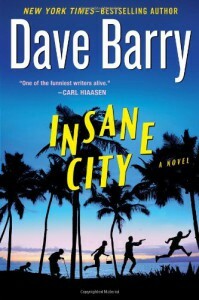 "I admit it - the only thing I ever read by Dave Barry was an occasional humor column or two in the paper, mostly at the insistance of my wife. Based on that and that alone I had no idea what to expect from this book. Guess what? I liked it. Quite a bit, actually. The plot was a twisting convoluted mess that somehow stayed coherent enough to work. The characters were outrageouse yet believable and the setting, Miami, incredibly insane but again, believeable. I will definitely read Dave Barry again. A fun bit of fluff, highly recommended." 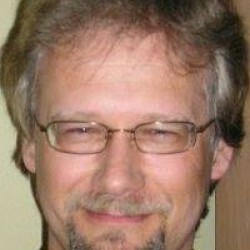 "Robert Heilnlein must've been a curmudgeonly old fart from the day he was born. 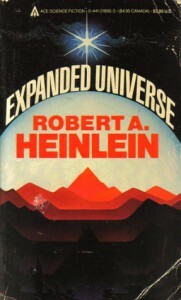 A grandmaster of SF and a founding father of the genre, Heinlein loved to hear himself pontificate on the state of the country and the ills of society. His views on voting ( voting is not a right but a privelege that should be earned ) are particularly worrisome. As Isaac Asimov said, any system where a voter must prove himself worthy is problematic -just who decides whether you are worthy enough to enter the booth? But all this is beside the point. Heinlein earned his place in the pantheon of great SF writers and this collection offers one more glimpse into the stories that raised him to that high estate. 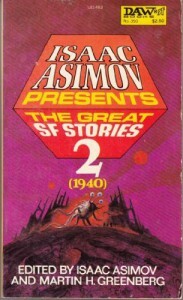 Definitely worth the read for those interested in the early years of science fiction." 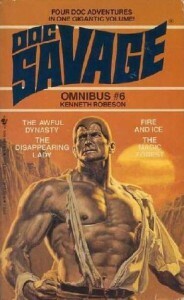 "A reboot, if you will, of the original Doc Savage series. This is longer than the typical Lester Dent story but I have to say, you would be hard pressed to tell Will Murray's tale from Dent's. It's an exciting, adventure packed thrill ride typical of the best Doc Savage tales. I'm looking forward to more of Murray's Doc Savage. 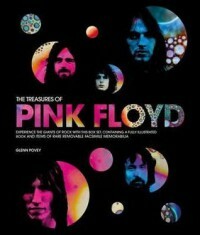 "A fascinating view of the band's history and the music that helped inspire more than one generation. From their early psychedelic days in London to their stadium-packed world tours Glenn Povey takes us behind the scenes as The Floyd evolved and morphed into the Pink Floyd we all love. Definitely recommend this book." 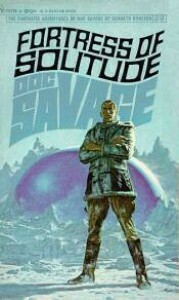 "Superman may be known for his Fortress of Solitude, located in the vast arctic wastes, but Doc Savage introduced it a full 19 years before the Man of Steel. In this adventure a mad super villain discovers Doc's fortress, along with the bronze man's collection of weapons too terrible to be used. Havoc, of course, ensues. 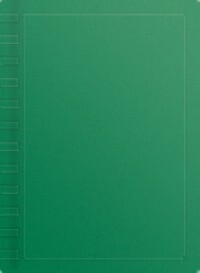 The story follows the typical Lester Dent formula. Pulp fiction may be formulaic but that's part of it's charm, it's what makes it fun. This is not great literature nor does it pretend to be. Doc Savage is fun, pure and simple. Read it for that reason alone and I guarantee you'll enjoy it." 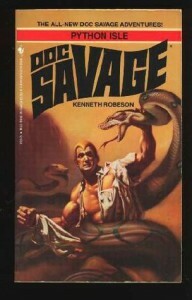 "I love the Doc Savage adventures but I have to say that I enjoy the pre-war stories much more than the post-war tales. The Doc of the thirties and early forties was a larger than life yet completely human protagonist who got by on his incredible physical strength, his amazing intellect, and his collection of clever gadgets. In many ways Doc was Superman and Batman combined. He even had his Fortress of Solitude. We marvelled at his strength and cleverness and we knew that Doc, along with his five faithful companions, would win out in the end. In the post war stories we still know he will come out on top - he's still Doc Savage, afterall- but he is no longer fun to watch. Full of doubt in himself and his men, this Doc is at times indecisive if not down right confused. Gone are the gadgets and the cool science and most of the stories center around only two of his incredible companions, Monk and Ham. Having said all this, here's my point - only one story in this collection was pre-war. The other three feature the sad, weak Doc of the post-war years. 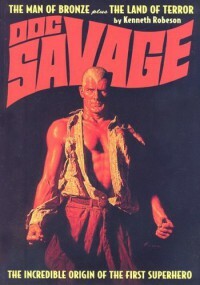 That's why I'm going back to read The Thousand Headed Man - Doc Savage at his best." "What can I say about Mr. Gaiman that hasn't already been said? Imaginative, creative, innovative, original, these all come to mind after reading The Graveyard Book. l know, it's loosely based on Kipling's The Jungle Book, but that does not in any way diminish the originality of this story. In fact, I believe the ability to take inspiration from someone else's work and reimagining it an original way is a sign of true genius. But enough of the gushing. Read The Graveyard Book. You will be glad you did." "Doc Savage is back! After reading Omnibus #3 I was worried. In #3 Doc seemed insecure, always questioning his actions, unsure of himself. He also seemed to have lost of all his cool gadgets. In this volume he has his cool toys and he's once again the Man of Bronze we all know and love. 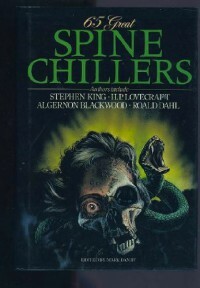 "Okay, I know it's near sacrilege to suggest this but I don't think Steven King is the writer he used to be. I remember The Dead Zone, The Stand, and Salem's lot with great fondness. Those were real page turners. Even more recent works like Joyland and Dr. Sleep kept me up at night reading. But not Under the Dome, sad to say. It took great effort and no little amount of will power to finish this one. Honestly, it could have lost about five hundred pages and no-one would be the wiser. OK, we all know Big Jim and his boy Junior are bad, nasty, wicked people so let's get on with it. The dome itself is mentioned often but it really doesn't factor into the story except as a device to let Big Jim run rampant through Chester's Mill. This novel is a study of human nature, of good versus evil, I get that. So was The Stand, but it was a much more engaging story. 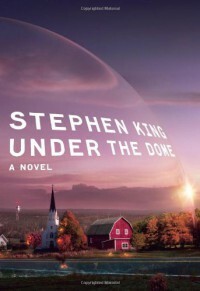 I might have to reread The Stand just to get Under the Dome out of my system. "Sam Birge is not good looking. He's not witty, urbane, cool, or sophisticated. What he is is a plodding, methodical investigator who will doggedly pursue a case until it's solved. Walk the Dark Streets is a short little book but wonderfully written. 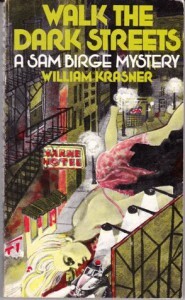 Sam Birge is not flashy or showy and neither is the writing in this book. Gritty and to the point, that's what makes this a great story. I will definitely be on the look out for more Sam Birge mysteries." 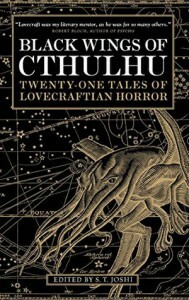 "This collection of twenty-one Lovecraft-inspired tales contains some very strong writing, along with one or two that are that for one reason or another simply fall short. I won't spoil your fun by giving away which ones I think are weak; that is for you to decide. I still recommend it, though, especially for fans of Lovecraft and the mythos he left behind." "Sixty-five great old-school horror stories. These tales are more psychological, cerebral, if you will, than blood and guts. My kind of horror."